Ten Squared is now a pattern…celebration time!! You can find it in my pattern store on Craftsy. Find the pattern in my Etsy Store. It all started with half square triangles (HSTs). 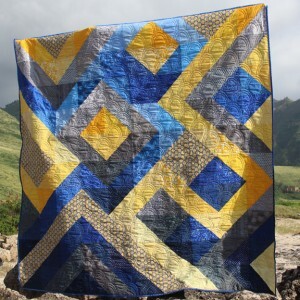 I wanted to make an entire quilt with HSTs. And this was the product of that exploration. When I started I had no intention of making this into a pattern. I just wanted to experiment with HSTs. First I started out with a rough sketch of what I wanted to do with the squares and the lines going around them. Then, I selected 5 colors and chose 2 to 3 different fabrics in each of those 5 colors. Using those fabrics, I cut 6 inch squares and just made a whole bunch of HSTs using the fabrics I chose. After I started placing them on my design wall, I saw that I was not going to get the exact image of my sketch because of the grid the HSTs fell on. So I modified it a bit and let the HSTs take me where they would allow. I really wanted something asymmetrical with some dynamic movement. 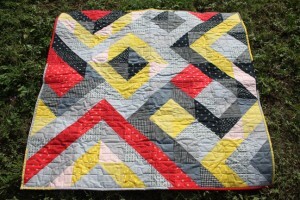 The high contrast of the fabrics really plays well with those elements and gives this quilt a serious pop! So I was asked a few times if I was making a pattern, and this being my first quilt from start to finish I wasn’t sure if I could even sell my own pattern, let alone design it for others to understand. But, I set out to try to make my first pattern. I even made a second Ten Squared to see if I could recreate it. This one was for my husband, and I used 7.5 inch squares. After putting some directions down on paper and trying out a few tests patterns, in extra large and miniature form, I asked a few friends to test the pattern for me. I received some amazing photo samples of the quilts they made. 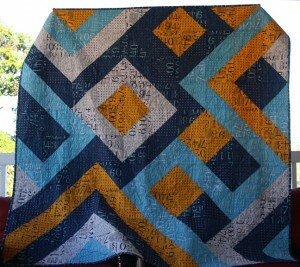 This quilt was used from a fat quarter set I sent with the tester…and she did an amazing job. A friend who has just started her quilting journey put this beauty together, and it was only her second quilt! Ten Squared is a PDF pattern only available for download on Craftsy Etsy Store. This pattern is considered a beginner pattern. There is limited instruction of assembling HSTs. The finished size of this quilt depends on the size of square you start with. The pattern includes some fabric requirements and finished measurements for some standard size quilts. 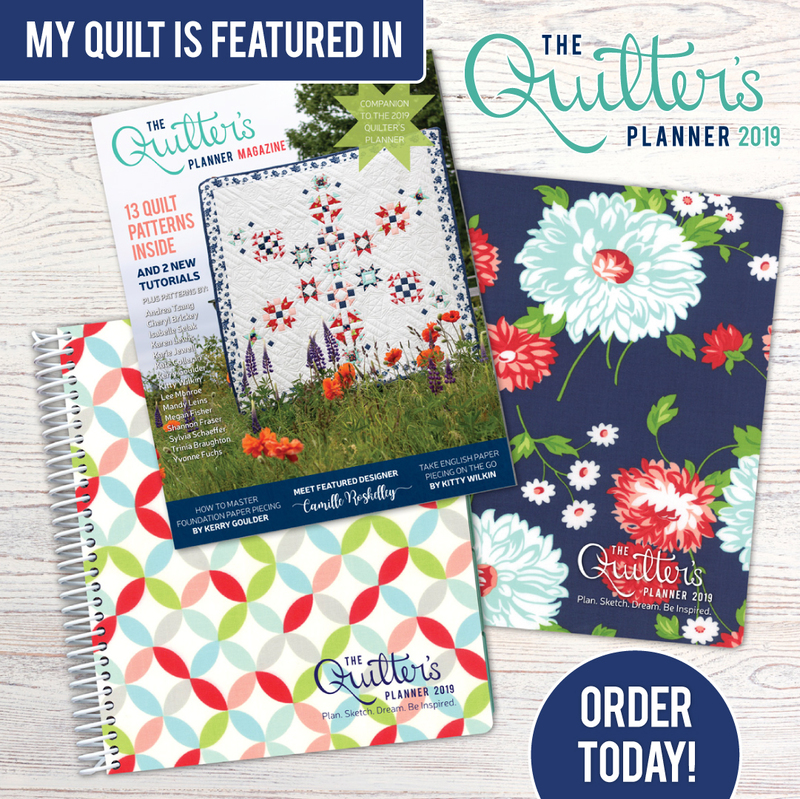 I have included a coloring page with the pattern so you can audition different colors and fabric choices to get your quilt just right for you. 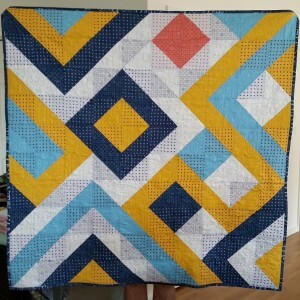 If you make a Ten Squared quilt, please post an image of the project on Craftsy Etsy Storeunder the Finished Project link on the pattern page. If you share your quilt on social media, be sure to use #tensquaredquilt and tag me @penguinfeats so I can see your quilt! I would love to see your interpretation of the pattern! Good for you Trinia! Congratulations on you first pattern! Very cool! Congrats on your first pattern! It is a difficult process, I know. I am expecting to release my first pattern in a week or so. The quilt is lovely! Thank you. Best of luck to you. I will be looking for your pattern! !